We can provide private transfers from Ischia to each of the major destinations along the Amalfi Coast including the main towns of Positano, Ravello and Amalfi itself. There are also dozens of other locations we cover so if you don't see your destination listed just drop us a line for prices and further information. 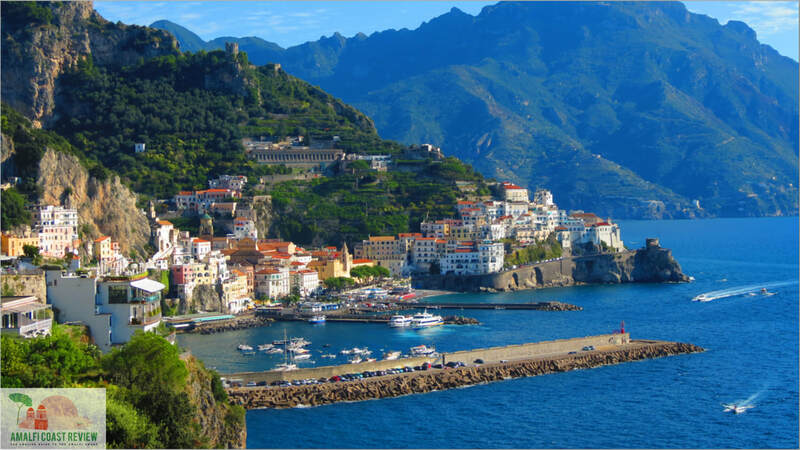 We can arrange single transfers from Ischia to the Amalfi Coast or vice-versa. We can also combine your Ischia transfer with one to or from the Amalfi Coast. Many visitors to Ischia come here as part of a tour of the local region and we have good experience in dealing with this type of transfer. A typical route may include collection from Naples Airport to Ischia and then on to Positano a few days later. For most transfers from Ischia to the Amalfi Coast we make use of the daily hydrofoil connection from Ischia to Sorrento. There's one crossing each morning and one in the afternoon and you can choose which one you prefer. We'll collect you from your hotel in Ischia, take you by private taxi to Ischia Porto, hand you the tickets for the hydrofoil crossing to Sorrento and have our driver waiting to meet you when you arrive there. Then from Sorrento you'll be taken again by private taxi to your destination along the Amalfi Coast. Whatever the combination of your trip may be just drop us a line and we'll be very happy to untangle any confusion you may have. Even if you decide against a private transfer we'll give you advice on how best to travel between your required destinations. For further information and prices just drop us a line at info@ischiareview.com and we'll get straight back to you.